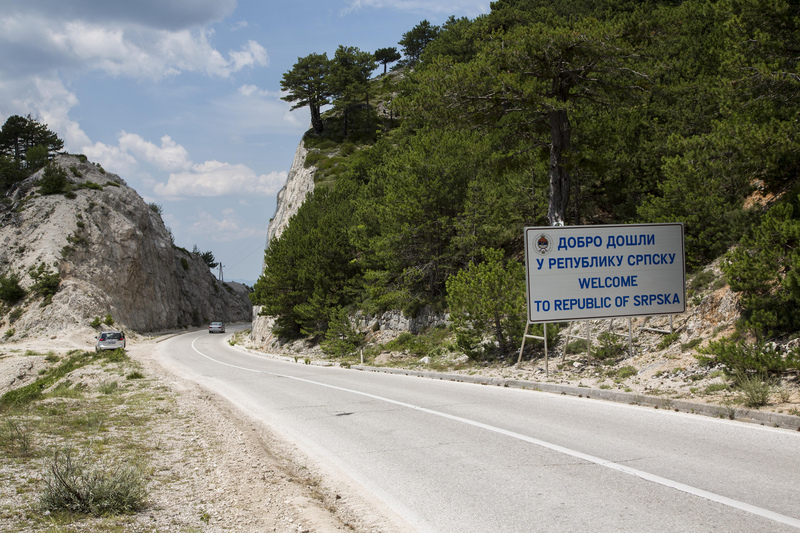 When deciding to embark on a self-drive holiday through the Balkans, here are some things you need to consider before you take on the perils and possible dangers of driving in Bosnia and Herzegovina. When we decided to ride our Harley Davidson down through the Balkans we didn’t even consider what the driving conditions would be like. Little did we know, driving in Bosnia and Herzegovina on our motorcycle was going to be the biggest challenge of our 17 days trip. Bosnia and Herzegovina is one of the most beautiful countries we have ever visited in Europe. As a country that has been free of war for only 20 years, its cities and infrastructures have yet to fully recover and its people still show signs that the memories are still incredibly raw. Therefore, if you decide to take a Balkans adventure and visit this remarkable country, please take a moment to think about these few important points before riding or driving in Bosnia and Herzegovina. Bosnia and Herzegovina currently have zero highways/motorways. There a highway currently under construction outside of Sarajevo, however you can expect to drive on single lane roads 99% of the time. Since you are driving on single lane roads along with every lorry, coach and car passing through the country, prepare to drive for kilometres without any possibility of overtaking. Trust us, this can get incredibly tiring and frustrating so do not take any risks when overtaking. The average speed is around 50kmph, so plan for extra time if you have to be anywhere at a certain time or if you are simply planning to visit Mostar from Dubrovnik as a day trip.Warning: When you’ve driven at this speed for over 100kmph you may feel the urge to drive your car into oncoming traffic through complete boredom of looking at the car in front’s number plate for the past 2 hours. If you plan to drive away from the main cities, prepare for some roads that would appear as if you have gone off road. We drove from the border of Montenegro to Sarajevo on a road which should have only been fit for rally cars. So drive with caution. Tunnels are usually holes through mountains. 95% of the tunnels we passed though had no internal structure and they were all incredibly dusty with no ventilation or lighting. Fuel up your car at every opportunity if you plan to drive away from the main cities. There are a limited number of fuel stations and you do not want to get stuck in the middle of Bosnia without fuel. Sign posts are scarce so a reliable and up to date Satellite Navigation is highly recommended. Crossing into Bosnia (especially from Croatia) can be a headache. If you want to avoid sitting in long queues at the border, leave early and take plenty of water with you if you’re travelling in the peak of the summer as temperatures rocket and you do not want to be stuck waiting for over an hour in the heat. While corruption is getting much better in Bosnia, we heard plenty of stories of police stopping cars with foreign number plates and accusing them of speeding. Therefore if this happens to you, we were recommended to record your journey if you can on your Satellite Navigational System (if you can), smile and be as nice as possible and always request to be taken to the station if they demand money of any kind – they may simply be fishing for pocket money! Is it not advised to wander off on dirt tracks or off the sides of the roads in rural areas. It is said there are still hundreds of landmines and the UK and USA Governments do offer you warnings regarding this. Cows will try to kill you – We are not joking! Stray cattle are everywhere in the countryside, so if you are driving around blind corners, take them slow as you never know what may be mooching (lol) behind the corner. Local drivers are not the best in the world, so always be aware of your surroundings. They like to tailgate and overtake at risky and dangerous blind corners or blind crests. Be extra cautious when overtaking or pulling out of junctions, as there are not many motorcyclists in Bosnia therefore people are reluctant to look twice. With the amount of dust in the air, be prepared to have the biggest boogers in your life. It’s gross – but true! At border controls, it is perfectly acceptable to drive pass and through the queue and go directly to the front, especially in hot weather. We patiently waited for over an hour in 36 degree weather in our leathers and could not bare it any longer, so we drove to the front. We had no problems doing this, and neither did any of the other bikers we passed. Disclaimer: None of the pictures are my own due to the fact that it is pretty difficult to take photographs while on a motorbike. Therefore I sourced relevant photos from flickr and royalty free websites.